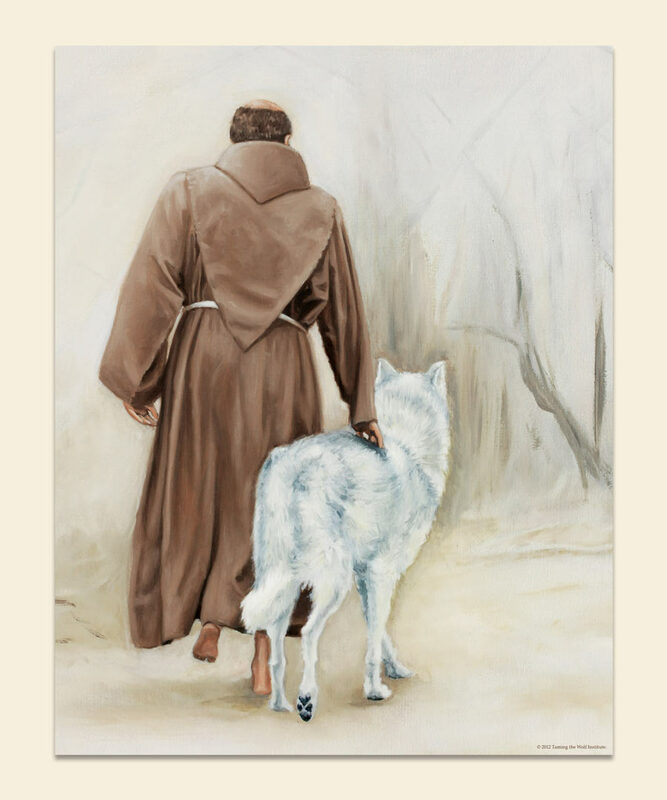 Poster print of St. Francis and the wolf walking together in a wood. 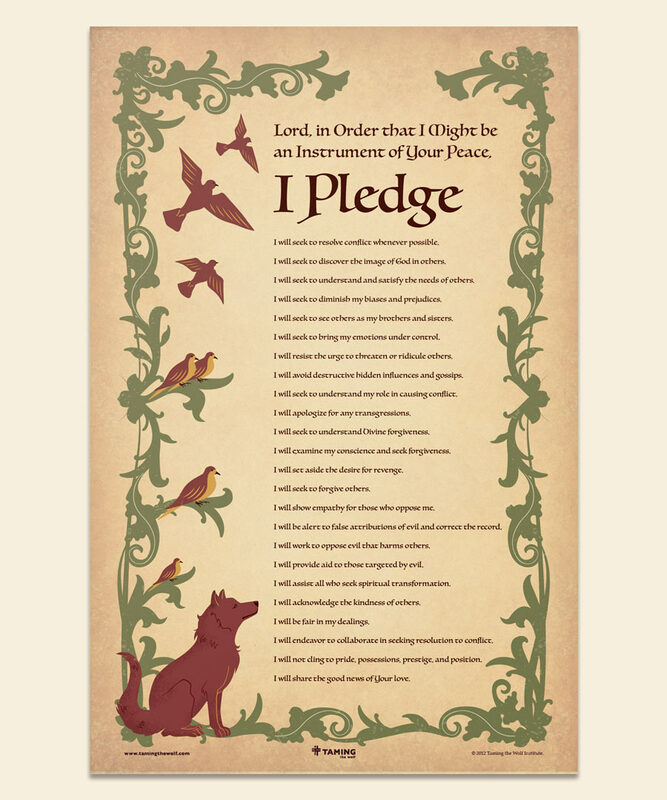 Professionally printed with a Matte finish on 13 pt. recycled cover stock.